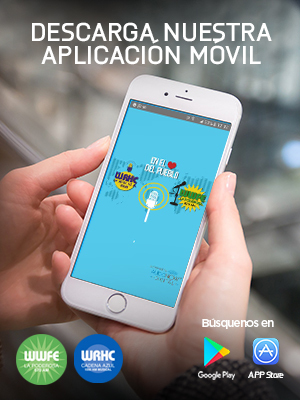 Unique program for the Jewish community in Spanish. Summarizes the most important news around the world. of the moment and the latest celebrity news. Varied musical cultural magazine, a different experience every night. international impact in the community. Program that addresses the latest local, national and international, impacting the community. It interacts with the audience, who give their opinion on the air. WWFE "The MIGHTY" 670 AM , was founded in 1988. It is a radio station broadcasting in stereo and has the best frequency band AM (Amplitude Modulation). Only 13 radio stations in the United States have the privilege to transmit frequency 670 and this important position on the dial is recognized in the "Book of Radio stations" since 1988. CUsing an output of 50,000 kilowatts, WWFE "The MIGHTY" 670 AM, broadcasts 24 hours a day from Miami in Florida, getting to where others can not. His experience, credibility and momentum can be clearly seen throughout South Florida, from Orlando to the Keys, the Caribbean and beyond. 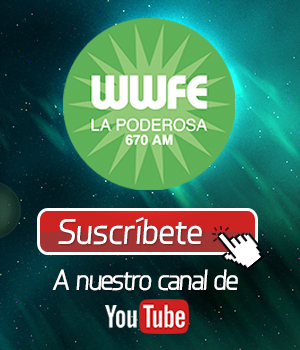 WWFE "POWERFUL" 670 AM, the only true Hispanic radio station, where minorities have created together most, achieving strength, market and economic power. 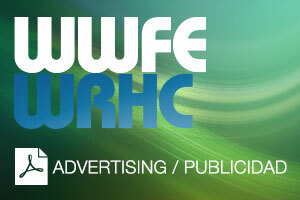 24 hours a day WWFE "POWERFUL" 670 AM, offers a special program of news, sports, entertainment programs, professional community, open mics, and cultural events, and religious.